This entry was posted in Marine Science and tagged Aquatic Research, Biology, conservation science, Ecology, Fisheries, fisheries research, Marine Biology, Marine Research, PhD, UOW on November 26, 2014 by fishthinkers. Declining fish stocks and increasing fishing capability worldwide have placed an ever growing emphasis on the need for responsible fishery and species management at appropriate spatial scales. To achieve this, delineating the discrete breeding groups (or populations) of a target species within a given geographical area is of utmost importance. This is particularly challenging in the marine realm, however, where population boundaries are dictated by cryptic barriers to dispersal, a species’ potential for travel and reproductive behavioural traits. Nevertheless, genetic techniques have become an invaluable tool for uncovering population structure in exploited marine creatures. 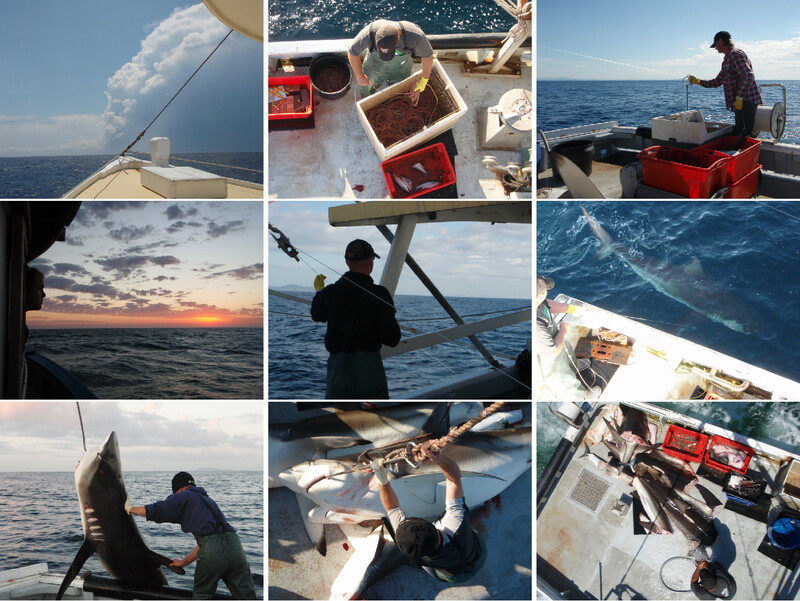 Demersal longline shark fishing in northern NSW waters as observed during 2008/09. Photo: Dr Geraghty. This entry was posted in Ecology, Fisheries, Marine Science and tagged Fish Thinkers, Fish Thinkers Research Group, fisheries research, Fishing, fishing australia, genetics, Marine Research, marine science, shark genetics, shark research on August 29, 2014 by fishthinkers.